Fort Nooherooka is a historic Tuscarora Indian Site in Greene County located off Hwy. 58N. In 1713, a decisive battle at this location opened Eastern North Carolina for settlement. Greene County is rich in Tuscarora Indian history and had many settlements on and around Contentnea Creek. We can learn much through the study of this Native American tribe. Nooherooka Natural, LLC has been very supportive of helping to gain National Registry status for this fort and its posterity. Our black angus cow herds and hogs are located in Greene County and are raised naturally on the land. We wanted our name to reflect our physical location and also to speak of a historic era of growing and preserving naturally. Tuscarora Indians lived on the land, had no access to hormones, chemicals, and/or drugs, and were innovative in preservation techniques. Our products reflect these same practices now when most of the beef in the U.S. is grown with steroids and hormones, regularly administered antibiotics, and confined in feed lots. Our beef is pasture-raised and has never, ever been chemically altered. Our cows are free-ranged their entire growth cycle and are cared for humanely. The Nooherooka Virtual Farm Tour video is on our Facebook page. Our Nooherooka Natural beef is custom processed at Matkins Meat in Gibsonville. 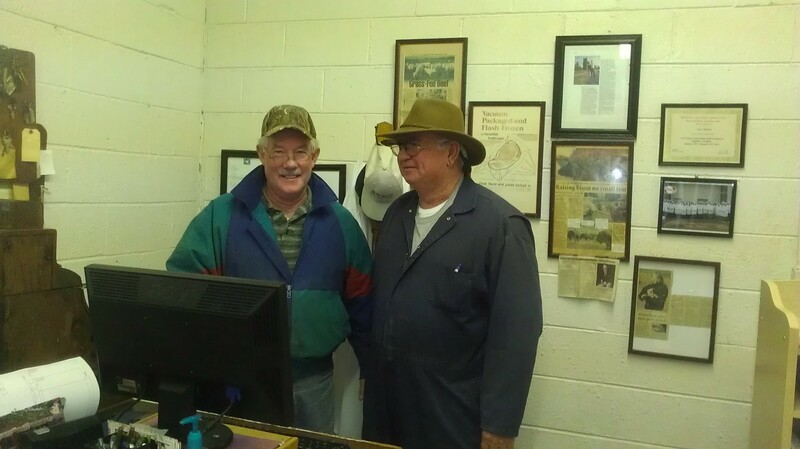 Matkins Meat, Inc. was founded in 1956 by Leonard Matkins and Associates and his son, Jerry, has been running the business for the past 40 years.